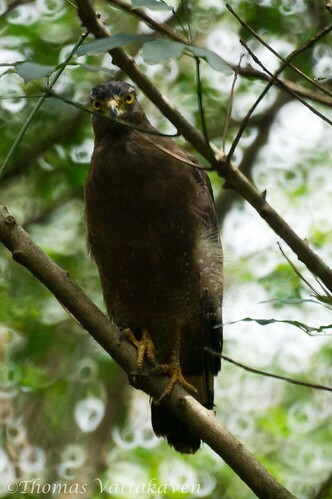 The Crested Serpent Eagle (Spilornis cheela) is an eagle species that is found resident throughout India. There are considerable variations within the species and some forms are treated as subspecies while others are considered full species and the systematics of the group is not resolved. All members within the species complex have a large looking head with feathers on their head giving them a maned and crested appearance. 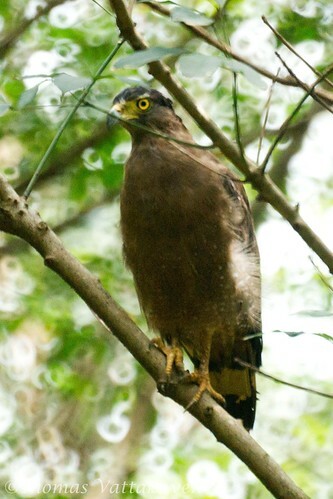 It is a dark brownish coloured bird, with a black crest. 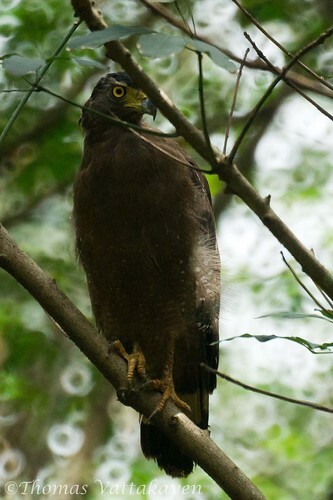 The flight-feathers are blackish with three bars brown above whitish below. 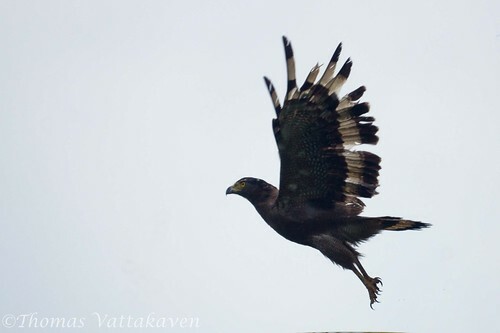 The tail is brown and black with the tip pale and a broad conspicuous whitish band ; lower parts brown, spotted with numerous white ocelli and barred finely with dark brown. The Iris is intense yellow and the bill is hooked and long and tipped with black. The skin between the eyes and bill is also yellow. 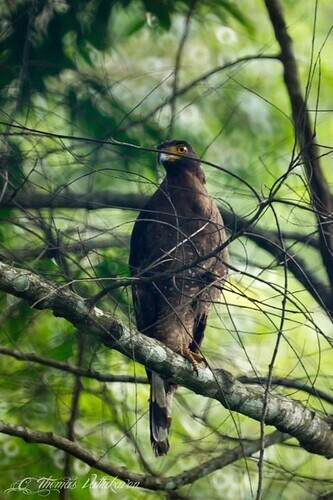 This bird is found in well wooded and well watered areas. 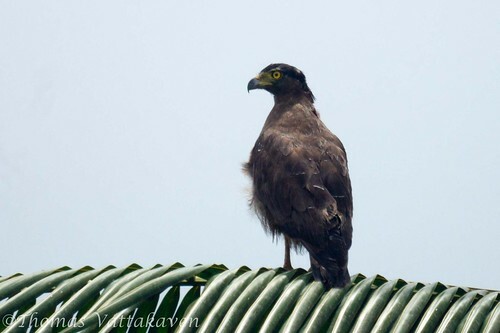 It is often seen soaring above such areas while calling out in its typical kuk-kuk, queeear-queeear-queeear song. Its food consists chiefly of snakes, lizards and frogs, but insects are also taken. They will sometimes follow snakes on the ground. The breeding season is from March to May. The nests are built in trees on a forked branch from loose sticks and twigs, lined with leaves, smaller twigs and roots. One or sometimes two eggs are raised. Usually only one chick survives per season.